It was the 2008 recession which shook the global economy. The world had never seen such a far-reaching economic impact prior to this. Economists and investors, bankers and consumers, all had to rethink their strategies. Market gurus had to revisit their investment approach, banks had to devise new policies to resist any such mishap in the future. The recession is over but it has taught many a lesson that are meant to guide the financial sector on not to take certain steps which may look promising. In other words, the financial sector cannot afford to be as complacent as it was prior to the recession. To an extent, the rising alternative financial strategy is the child of the recession. Investors and consumers have learned this lesson the hard way. The mainstream investment methods are a thing of the past. Enter the alternative means of investment. 2013 was perhaps the most promising year for alternative investments. Hedge funds saw a mixed year owing to their moderate performance, while private equity saw a jump of 13% compared to the previous year. In the financial sector, institutional investors saw a rise in investments. Not only did this sector see a promising trend of consumer investment, institutional investors ventured into the unchartered territories: risk-adjusted returns. Institutional investors are taking the risk factor to new heights. 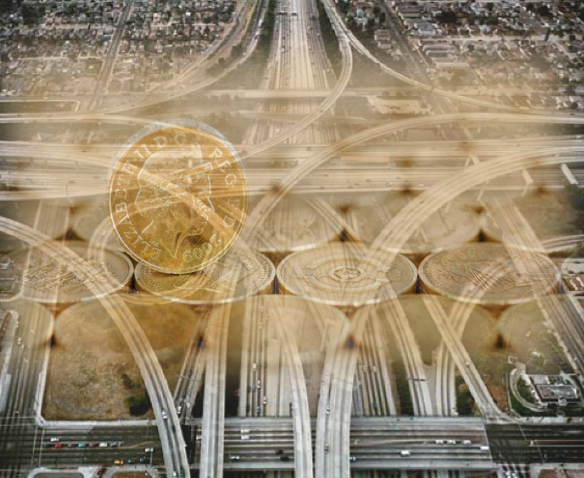 Not only they are investing in unchartered territories, they are also attempting to reduce the fine line between alternate investments and the regular asset class, making the market abuzz with newer possibilities. According to 2014 Alternative Investment Outlook by Deloitte, institutional investors such as pensions, foundations, and endowments have stepped up their participation in hedge and private equity funds, driven by diversification mandates. 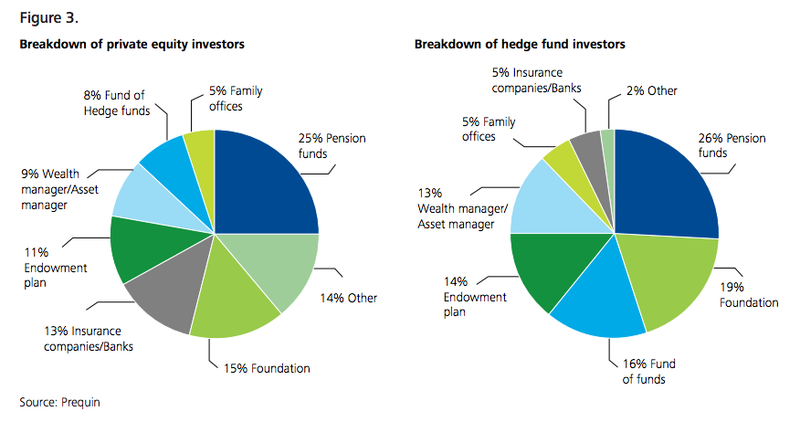 Thus, institutional investors now represent more than half of the total capital being managed by hedge funds. Moreover, they are going to allocate an even higher percentage of their portfolio to alternatives going forward. However, the increasing trends of sky reaching markets and alternative investment methods reaching the mainstream investment market, the phenomenon of risk attribution theme is a tentative notion for many investors and market gurus. Surprisingly, managing consumer data is a growing trend for alternative investors. For a hedge fund, you need to have a lot of data about your client. Not only is acquiring the data the hottest theme for alternative hedge fund managers, they are willing to pay for it if it comes at a cost. The fact is many investors manage their client portfolio with the help of social media websites. In regions where social media is popular, alternative investors are not hesitant to pay for client data. A new trend in hedge investment is to get hold of real-time data about consumers, provided that particular online portfolio, whether stock or other, is willing to provide it. It continues the trend of strategic importance of data management, as over the past five years the fastest growing hedge fund strategy has been quantitative trading, including market neutral, statistical arbitrage and high-frequency strategies. The industry faces some challenges due to an increasing demand from the investors and regulators. This consists of the emerging requirement for tailored reports that pull data from the systems not originally designed for that purpose. In addition, there is a requirement for data-centric solutions from the main regulations – the Alternative Investment Fund Managers Directive, the Foreign Account Tax Compliance Act, Form PF, and Form PQR . The recent thought leadership event organized by Gravitas, an outsourcing platform provider to the alternative investment industry focused on 2015 trends in alternative investment industry. It highlighted the following areas that will impact hedge funds and other alternative investment vehicles in 2015. Considering that lack of cybersecurity might have the most detrimental effect on fund operations, it is vital for fund managers to understand the importance of cyber risk mitigation. PriceWaterhouseCoopers suggests alternative managers to recognize the importance and nature of mitigating cyber risks as an essential task in maintaining the ongoing success and reputation of their institution. Proper resources and specific programs should be in place within their organization in order to reduce the risk of harm and improve the resilience.